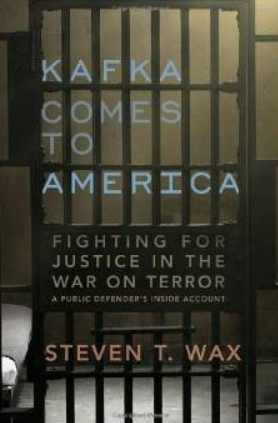 Kafka Comes to America: Fighting for Justice in the War on Terror - A Public Defender's Inside Account, by Steven T. Wax; Other Press; First Edition (June 3, 2008). ISBN-10: 1590512952. Hardcover, $22.89; 380 pages.